Typically when you mention an adjustable rate mortgage (ARM) people get scared. Most of the public wants to know what their payment is going to be every month, now until forever, and they do not want to discuss an ARM. The FHA 5/1 product is a fantastic way for the first-time homebuyer, the homebuyer in general, or a current homebuyer who is thinking of selling their home in the future to finance their property. If you compare the typical 30-year fixed mortgage, let’s use 4.25% as an example and use a loan amount of $150k, the payment is $737. For that same $150k loan, with the 5/1 ARM at a typical rate of 2.75%, the principal and interest payment is $612. This is a savings of $125 a month, $7,500 over the first five years (the time period the rate is fixed), and the caps are 1/1/5. This means that the most this rate can adjust on the first adjustment date (after 60 months) is up or down 1%. Using this scenario the above rate could move up to 3.75% or down to the floor of the margin, which in my example is 2.25%. A margin is set at time of rate lock. Typically it is set at or around 2.25%, which means the rate can never be less than the margin. The rate will continue to adjust annually no more than 1% up or down for the remainder of the term or as long as the mortgage is retained. The highest the rate can ever be is 5% higher than the start rate or in our scenario, 7.75% is considered the “ceiling”. As the rate continues to adjust annually (on the anniversary of the first adjustment), it will be re-amortized based on the remaining term. The rate can adjust by as little as 0.125% but never more than 1% up or down and never higher than 5% of the note rate. This is determined by your margin (2.25% in our case) and the index to which the product is tied – either the one year Treasury bill or the LIBOR. Typically this product is tied to the LIBOR. If the index at the time of adjustment is at 1.00%, add that to the 2.25% margin and your new rate for the next year would be 3.25%, using our scenario. If a borrower is having a tough time qualifying for a standard 30-year fixed rate FHA product, he may want to consider a 5/1 ARM. 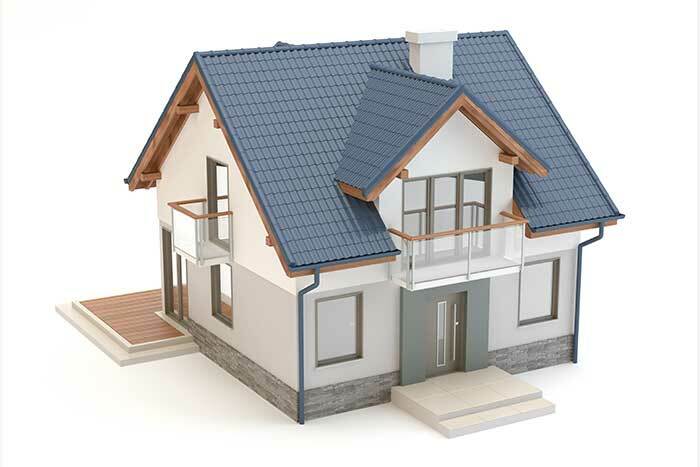 The borrower will qualify at the lower rate and ease their way into their new home payment. Also, if you know someone who is planning on selling their home in the next two or three years, the 5/1 ARM would be a great option for them to save additional money until they are ready to sell.